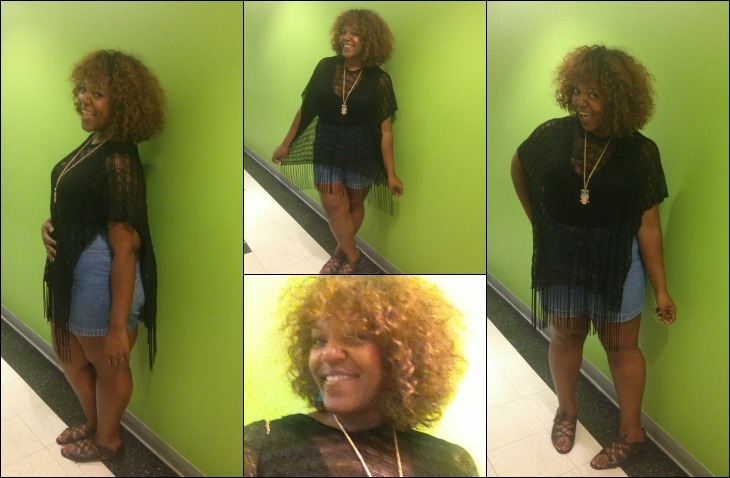 I love fringe, but I’ve always been confused on just how to rock it, short of swimsuit covers! I picked this beautiful crocheted black fringe top up at Goodwill in Brooklyn. I had it for almost a year before I wore it. Paired with my favorite mom shorts from Unique Thrift in Brooklyn and a black tank, I served up Summertime Fine. The shorts set me back $4 and the tank is from Old Navy years ago. I think Brandon T. Jackson approves.